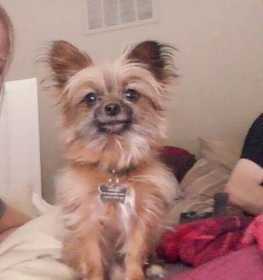 Chewie is a small 4.9 lbs male chihuahua mix went missing in the oaklandon/Lawrence area North of 56th street off Carroll rd. He was wearing a red and black sweater. Lost In the early morning hours. Please keep your eyes open for my baby. I pray for his safe return thank you.